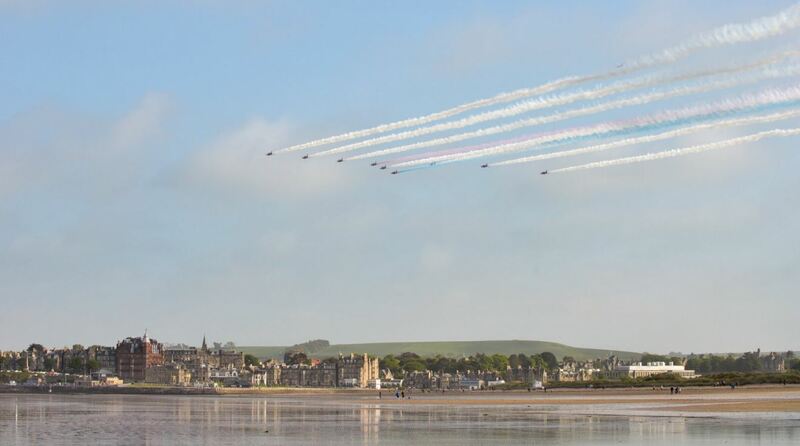 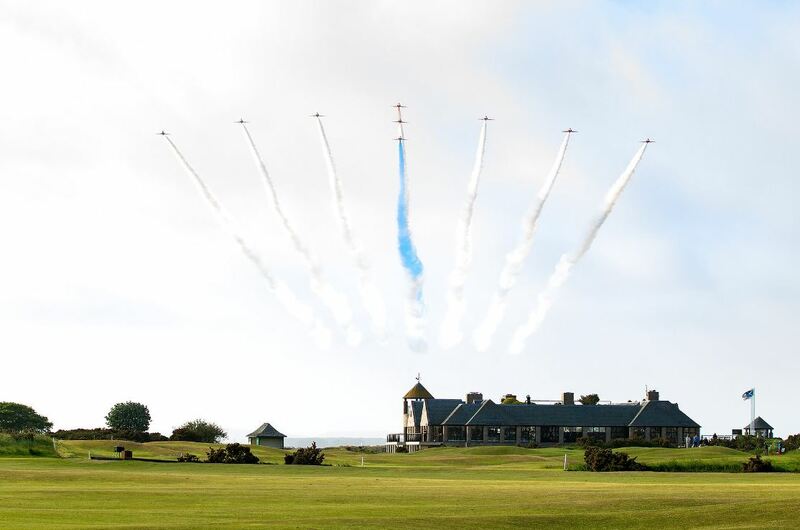 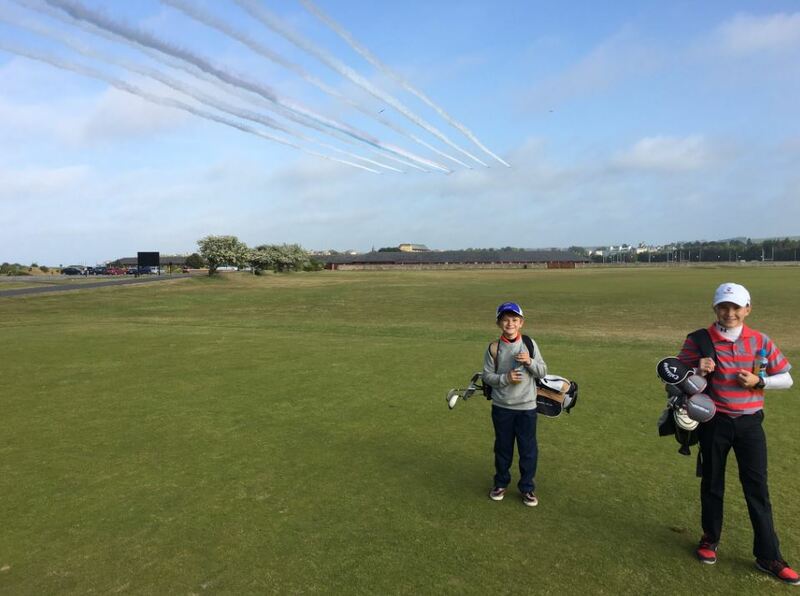 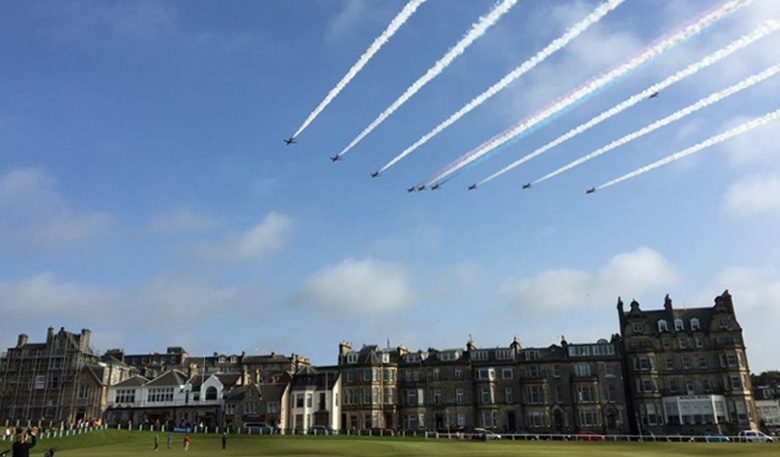 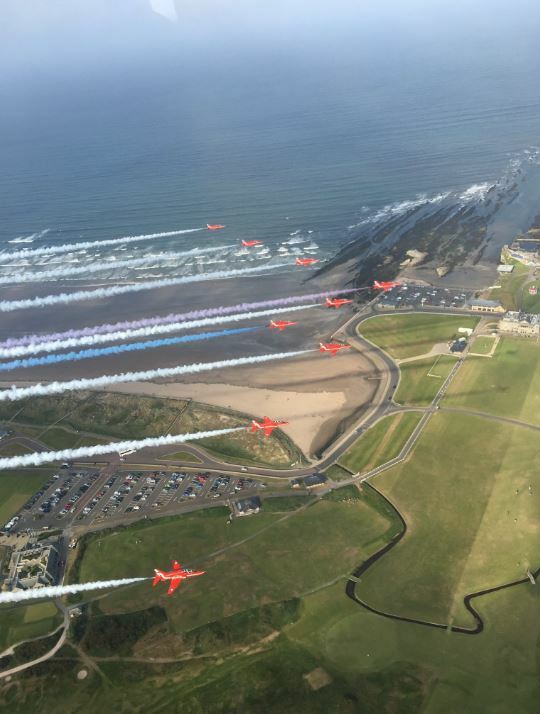 As the world’s leading amateur golfers competed in the St Andrews Links Trophy, players and spectators were treated to an amazing display from the RAF Red Arrows on Saturday evening. 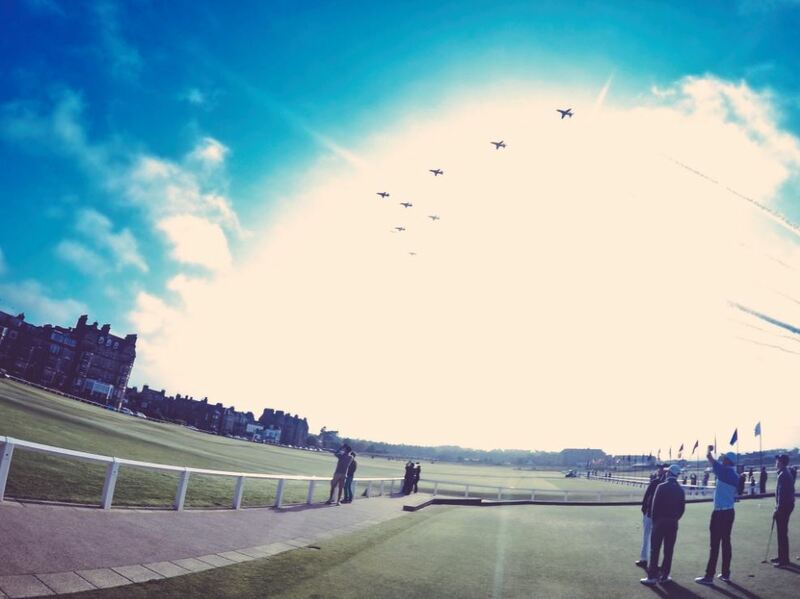 Our Facebook and Twitter followers shared some amazing photos of the event which we’ve compiled below. 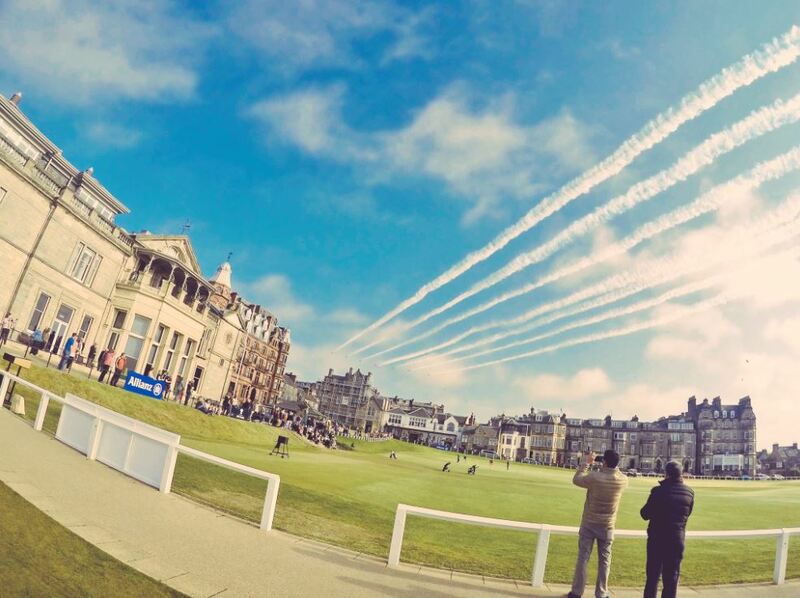 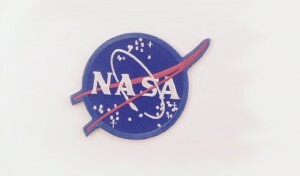 Thanks to everyone who sent their snaps in.